The Ghana Registered Nurses and Midwives Association (GRNMA) has called for the removal of the principal of St John of God Nursing Training College at Sefwi Asafo in the Western Region latest by January 1, 2018. According to the association, the principal has no nursing or midwifery background, which is contrary to the norm which requires that heads of nursing and midwife training institutions should be a nurse or midwife with a professional identification number. The association said such a qualification is necessary, especially when it comes to regulating activities of the institution and its students. This was contained in a communiqué issued at the end of the 16th Biennial National Delegates' Conference in Cape Coast under the theme: 'Overhauling Nursing and Midwifery Education; Prospects For Professional & Quality Care'. The communiqué, jointly signed by Dr Kwaku Asante-Krobea, President and Perpetual Ofori-Ampofo, General Secretary, also recommend that future appointees to that position must have nursing or midwifery background. 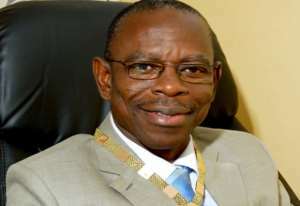 The association further called for the phase out of all nursing and midwifery certificate programmes by December 2019 and a subsequent upgrade of all those in the system to the diploma level through a well-structured programme to ensure that diploma level becomes the minimum entry point into the nursing and midwifery professions. “We call on the MoH to upgrade certificate nurses and midwives who successfully go through the diploma programme to the grade of senior staff nurse or midwife and those who have pursued their degree to be upgraded to senior nursing or senior midwifery officer,” the communiqué explained. They also called on the Ministry of Health to fast-track the process of getting accreditation for the post-basic midwives to be awarded diploma certificate upon completion of their training. “These schools must be upgraded to professional level so we can have the professionals outnumbering the auxiliary nurses,” he said. The association also called for the full implementation of the collective agreement between GRNMA and its allies and the MoH and its agencies signed in April 2016. The agreement which spells out the conditions of service for nursing and midwives and allied health professionals, including payment of fuel allowance and rural incentive allowance, is yet to be paid.